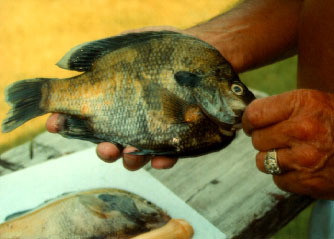 This Bream weights 1 1/4 lb. I caught two if these at Fork the same day, from the same stump. The Bream at Fork are good size, but these are the biggest I have ever caught. They were caught on gray crickets in 6 ft. of water.